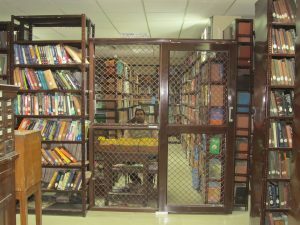 The College Library is administered by the Library Committee headed by the Principal and the Librarian holds the position of Member Secretary while the teachers-in-charge of all the Departments of the College are the members of the Library Committee. The Staff Council of the College elects a Convener of the Library Committee having tenure of two years while the tenure of the teachers-in-charge is one year. Being a statuary body of the library, it gives its recommendations for the betterment of the Library and its services from time to time. 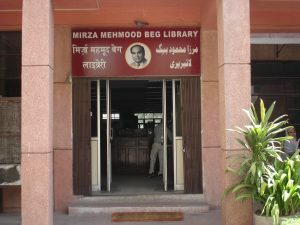 The College Library acquires books and reading resources on the recommendations of the Teachers-in-Charge of the various departments of the College. 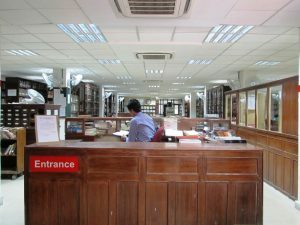 Some of the general and reference books needed by the library are purchased by the Librarian in consultation with the Convener of the Library Committee. Generally, a representative of the publishers/suppliers contacts the teachers and gets their recommendations for specific titles on a prescribed Recommendation Form provided by the library. The Librarian confirms the order after checking that the titles either do not already exist in the library or are inadequate in number. The faculty also gets books from various book exhibitions including biennial “Bhisham Sahani Book Fair” organized by the Book Exhibition Committee in association with the College Library. 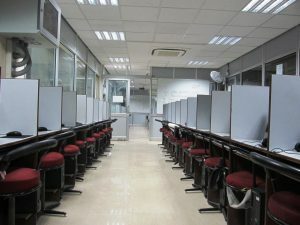 The subscription of magazines and periodicals (newspapers) are decided annually in the meeting of the Library Committee.